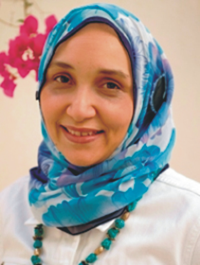 Leila Aboulela is a Sudanese-born writer whose work, written in English, has received critical acclaim and a high profile for its distinctive exploration of identity, migration and Islamic spirituality. Highlighting the challenges facing Muslims in Europe and telling the stories of flawed complex characters who struggle to make choices using Muslim logic', Aboulela's work explores significant political issues. 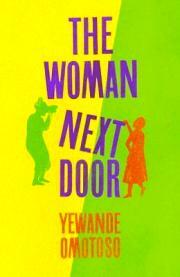 Her personal faith and the move, in her mid-twenties, from Sudan to Scotland are a major influence on her work. 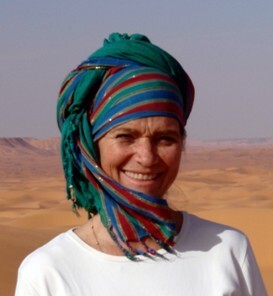 Literary influences include Arab authors Tayeb Salih and Naguib Mahfouz as well as Ahdaf Soueif, Jean Rhys, Anita Desai and Doris Lessing. The Scottish literary landscape and writers such as Alan Spence and Robin Jenkins have also been influential. Noo Saro-Wiwa is a British/Nigerian author. 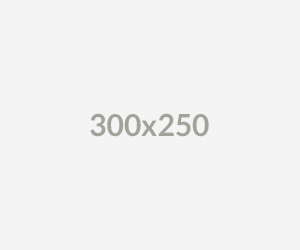 Born: 1976 (age 42 years) in Port Harcourt, Nigeria, and raised in England, Noo attended Roedean School, King's College London and Columbia University in New York. 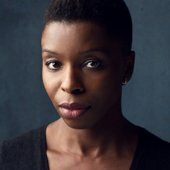 Her first book, Looking for Transwonderland: Travels in Nigeria (Granta, 2012), was selected by the Guardian newspaper as one of its 10 Best Contemporary Books on Africa in 2012.The book has been translated into French and Italian, and in 2016 it won the Albatros Travel Literature Prize in Italy. 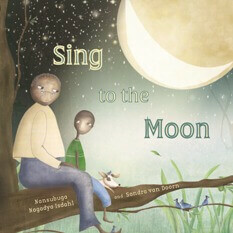 Saro-Wiwa is the daughter of the Late Nigerian poet and environmental activist Ken Saro-Wiwa. Wole Talabi is a full-time engineer, part-time writer and sometime editor from Nigeria. His stories have appeared in The Magazine of Fantasy and Science Fiction ,Omenana, Terraform, The Kalahari Review, Imagine Africa 500 anthology, and a few other places. He edited the anthologies These Words Expose Us and Lights Out: Ressurrection and co-wrote the play Color Me Man. 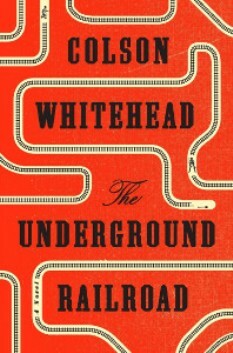 His fiction has been nominated for several science fiction and fantasy awards. He likes scuba diving, elegant equations and oddly-shaped things. He currently lives and works in Kuala Lumpur, Malaysia. 'Wednesday's Story' was first published in Lightspeed Magazine (2016). 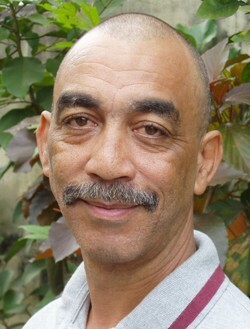 Adewale Maja-Pearce is an Anglo-Nigerian writer born in 1953 and currently living in Lagos, Nigeria. He has published a number of books, including Loyalties and Other Stories, In My Father's Country, How many miles to Babylon?, A Mask Dancing, Who's Afraid of Wole Soyinka?, From Khaki to Agbada, Remembering Ken Saro-Wiwa and Other Essays, A Peculiar Tragedy, and Counting the Cost, as well as the 1998 and 1999 annual reports on human rights violations in Nigeria. He also edited The Heinemann Book of African Poetry in English, Wole Soyinka: An Appraisal, Christopher Okigbo: Collected Poems, The New Gong Book of New Nigerian Short Stories, and Dream Chasers: New Nigerian Stories. He has published essays and book reviews in Granta, London Review of Books, TLS, London Magazine, Prospect and many others. He was Africa editor of INDEX ON CENSORSHIP, the London-based magazine of free expression (1986-97). He was also former editor of the now defunct Heinemann African Writers Series (1986-94), and serves currently as editor of the Nelson Literary Series (an imprint of Evans Brothers Nigeria Ltd). He currently runs YEMAJA, an editorial services agency. 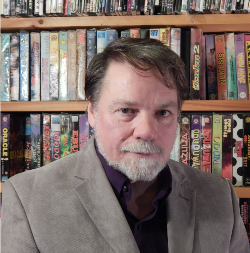 He also has a small publishing company, The New Gong: www.thenewgong.com, and maintains a blog: http://www.majapearce.blogspot.com. He is married to Juliet Ezenwa, the artist: www.julietezenwa.com. Jonathan Haynes is professor of English at Long Island University in Brooklyn. The recipient of a Guggenheim Fellowship, he is co-author of Cinema and Social Change in West Africa and the editor of Nigerian Video Films. Jonathan Haynes is interested in how literature, film and other arts are related to the cultures and societies that produce them. At first, English Renaissance Literature was the main focus of his studies, but then his interests shifted to Third World film and literature and African Studies. For two decades he has been closely following the growth of the Nigerian film industry, Nollywood. He came to Long Island University's Southampton College in 1998 and to Brooklyn in 2004. In 2001-2002, he was the founding director of the West African Center of the Friends World Program (now LIU Global) in Kumasi, Ghana. He has also taught at the American University in Cairo (Egypt), Tufts University, Albion College, Bennington College, and Columbia University. He spent three years in Nigeria as a Fulbright Lecturer at the University of Nigeria-Nsukka, Ahmadu Bello University, and the University of Ibadan. He was a guest professor at the University of Cologne in Germany. 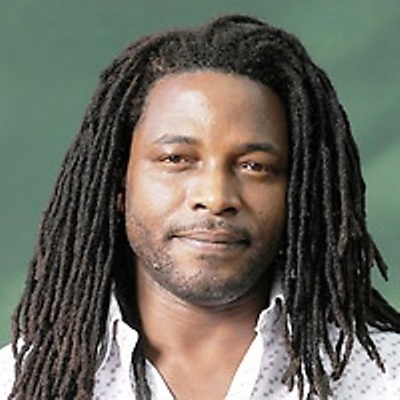 Biyi Bandele (born Biyi Bandele-Thomas; 13 October 1967) is a Nigerian novelist, playwright and filmmaker. 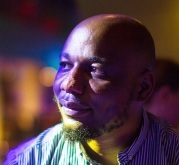 Bandele is regarded as one of the most versatile and prolific of the UK-based Nigerian writers, having turned his hand to theatre, journalism, television, film and radio, as well as the fiction with which he made his name. He lives in London, where he moved in 1990. His plays include: Rain; Marching for Fausa (1993); Resurrections in the Season of the Longest Drought (1994); Two Horsemen (1994), selected as Best New Play at the 1994 London New Plays Festival; Death Catches the Hunter and Me and the Boys (published in one volume, 1995); and Oroonoko, an adaptation of Aphra Behn's 17th-century novel of the same name. In 1997 he did a successful dramatization of Chinua Achebe's Things Fall Apart. Brixton Stories, Bandele's stage adaptation of his own novel The Street (1999), premiered in 2001 and was published in one volume with his play Happy Birthday Mister Deka, which premiered in 1999. He also adapted Lorca's Yerma in 2001. 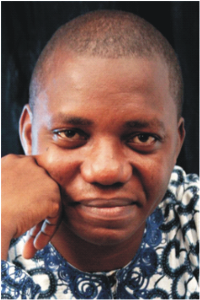 Biyi Bandele's novels, which include The Man Who Came in from the Back of Beyond (1991) and The Street (1999,2010), have been described as "rewarding reading, capable of wild surrealism and wit as well as political engagement." His 2007 novel, Burma Boy, reviewed in The Independent by Tony Gould, was called "a fine achievement" and lauded for providing a voice for previously unheard Africans. Lesley Lababidi is the author of Cairo's Street Stories: Exploring the City's Statues, Squares, Bridges, Gardens, and Sidewalk Caf's (AUC Press, 2008), Cairo: The Practical Guide (AUC Press,15th edition, 2012), Cairo: The Family Guide (AUC Press, 4th Edition, 2010), Silent No More Special Needs People in Egypt (AUC Press, 2002), Paddle Your Own Canoe An American Woman's Passage Into Nigeria (Spectrum Books, 1997), and Bahgory Legacy (Obelisque Publications, 2013). Her articles are found in: Obelisque Magazine, Persimmon Tree Magazine, Horus, Turath, Valerie Magazine, ARCE newsletter and various other Egyptian publications. Lababidi's new book, a 2018 release, A Field Guide to Street Names of Central Cairo, was written jointly with renowned translator of Arabic, Dr. Humphrey Davies. The Field Guide has been critically acclaimed for its engagement with the streets of Cairo as 'a palimpsest of (Cairo's) history'. The Guide is a truly admirable feat, listing more than 500 current and 300 former street names 'with an explanation of what each name commemorates and when it was first recorded, followed by the same for its predecessors'. It possesses universal appeal: citizens of Egypt, long-term residents, visitors, in short all those who are fascinated by 'this most multi-layered of cities' will find their curiosity satisfied by this Field Guide.